Linthwaite House’s perennially popular light-filled Bar & Conservatory, with outstanding views of Windermere, will be serving handcrafted cocktails, an all-day dining menu (including pizzas to rival those of Florence) and a selection of afternoon teas. 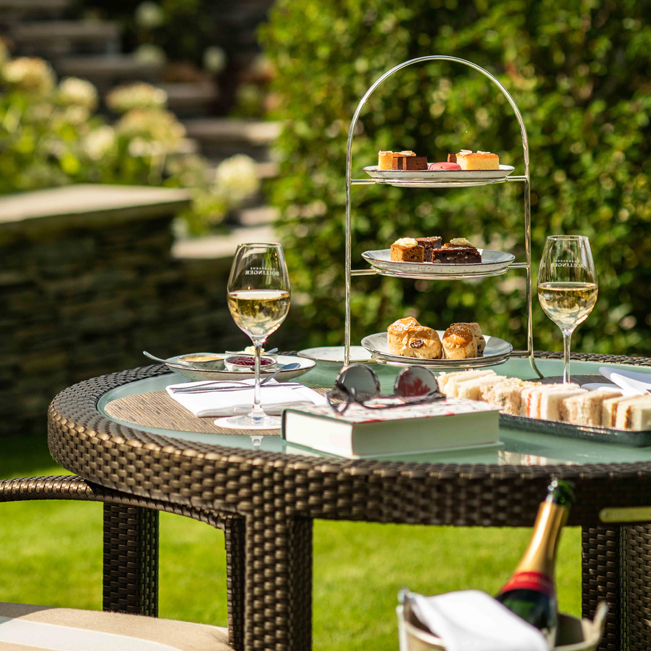 Enjoy a traditional afternoon tea of sweet and savoury treats in our cosy Bar & Conservatory with its enchanting views of Windermere and the surrounding fells. Smoking is not permitted. Regrettably we cannot welcome pets in this area. They are, however, welcome on the terrace where water bowls are provided. The dress code is smart casual – you dress for the experience you wish to have.